Jane F. (Jennie) Drew McLauthlen, seated at right, was the first Librarian at the Frederic C. Adams Library. 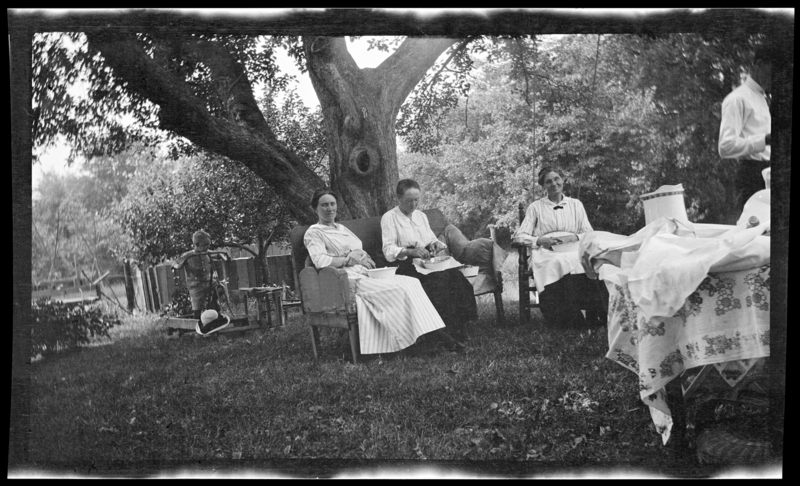 Her sister Mary W. Drew is seated at left. Emily Fuller Drew, their cousin took the photo; the negative is now held by the Library’s Local History Room, in the Emily Fuller Drew Collection MC16. If you see Jennie posting on Facebook and Twitter, that’s the nom de net for the staff of the Kingston Public Library.